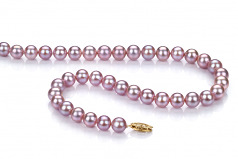 Graceful, Smooth and appealing the Lavender 7-8mm AA Quality Freshwater Pearl Necklace whispers to the ladies speaking to them of the styles, fashions and times that call for the lavender necklace to be worn to engagements from a casual get together to a formal affair. 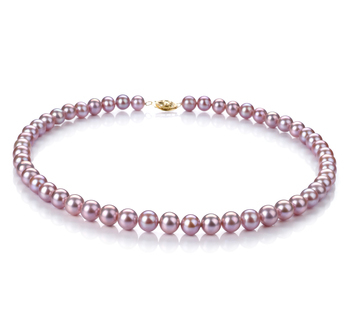 Tantalizing yet beautiful the AA shaped, body and overall grade of the lavender freshwater cultured pearls speak to the eyes of those around as they seek to mimic a style defined only for you. 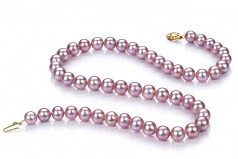 The 7-8mm Lavender AA pearls are held firm with a double knotted fine silk thread and hand strung and double knotted between each lavender freshwater pearl ensuring the continued AAA luster and AA shape and body. 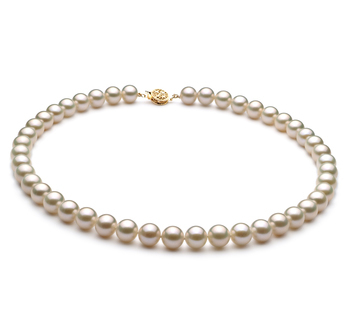 With a true to size, the necklace makes a wonderful gift for the special woman in your life or if you are the special lady, it makes for an even greater gift to reward yourself for all your hard work and dedication. 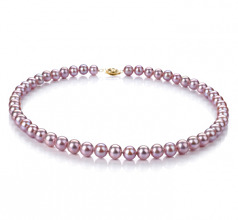 It shows and so should your wrist with the Lavender 7-8mm AA Quality Freshwater Pearl necklace and chain.